Really early weekend mornings are few and far between for me. I generally like to curl under my covers for a while and snuggle with my daughter after she's woken up and comes padding into my room clutching her blanket. We usually cuddle and talk with each other until she decides she is ready for milk, then we finally make our way to the kitchen. Occasionally, there is a morning that I find myself awake anywhere from 3:30 to 5:00 or so and completely unable to fall back asleep. Today was one of those mornings. 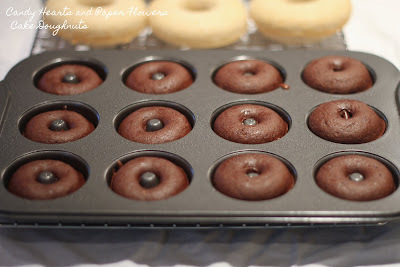 Last week I ordered some Norpro cake doughnut pans from Amazon, one for normal sized doughnuts and one for mini doughnuts. So this morning I thought I'd put them to the test. 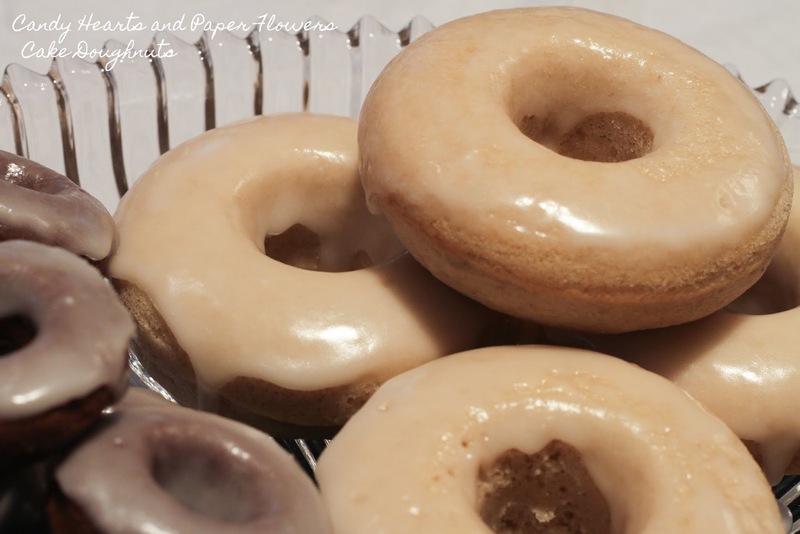 They turn out these perfectly adorable, perfectly shaped cake doughnuts. They don't look exactly like the ones you'll find at your local grocery store, and they don't get that brown exterior that frying gives them. 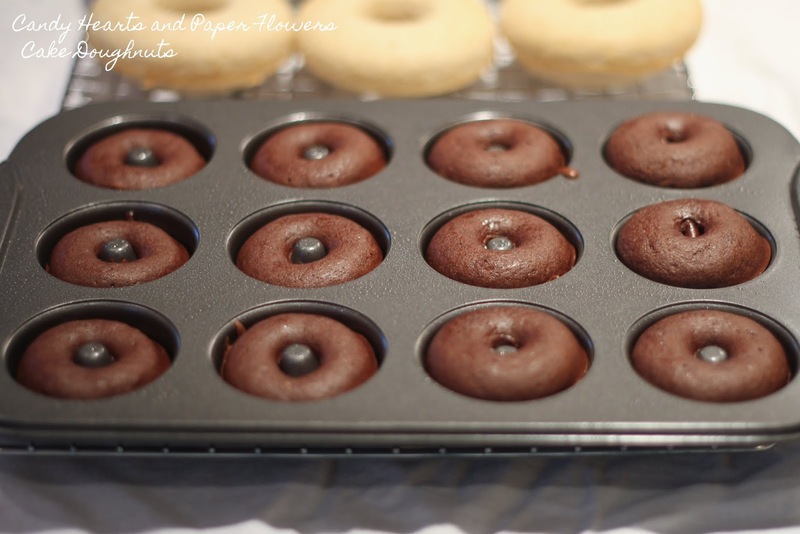 I made half a batch of Spiced Cake Donuts in the normal doughnut pan and half a batch of Chocolate Cake Donuts in the mini doughnut pan. These are so easy to make and they take very little time to whip up. 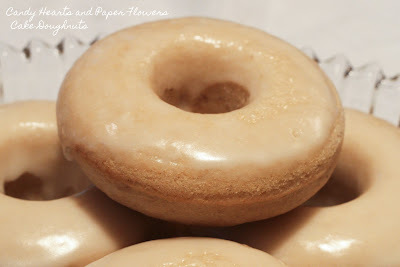 I just dipped them in a simple vanilla glaze, and they look so cute. The chocolate recipe needs a little tweaking, but the Spiced Cake Donuts turned out lovely. I'll try a few modifications to the chocolate recipe before I share a recipe. Lightly grease a doughnut pan with shortening. In a large mixing bowl, mix flour, sugar, baking powder, nutmeg, cinnamon and salt. In a smaller bowl, mix milk, eggs, and vanilla. Add wet ingredients and shortening to dry ingredients and mix together until well blended. 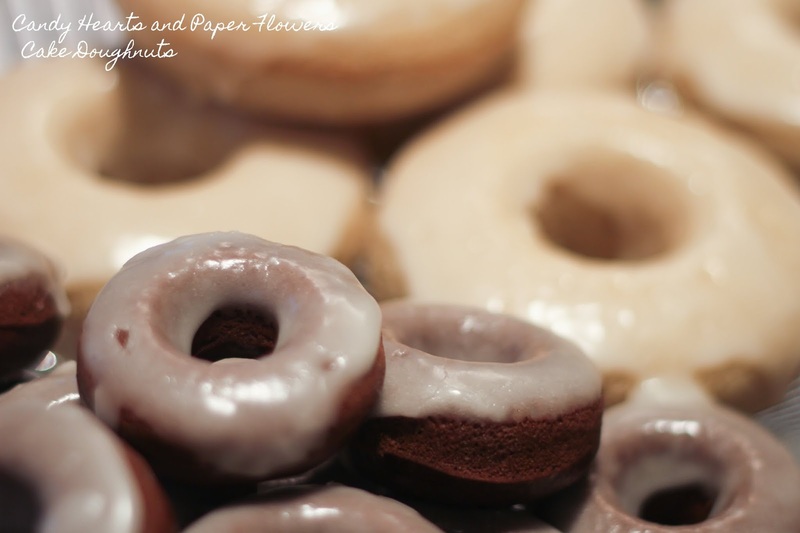 Fill each doughnut hole approximately 3/4 full, I'd recommend putting the batter in a ziploc bag and snipping a corner to fill the pan, or use a pastry piping bag. Try not to get batter up the sides or over the top of the middle. Bake 10 minutes in the preheated oven, until doughnuts spring back when touched. 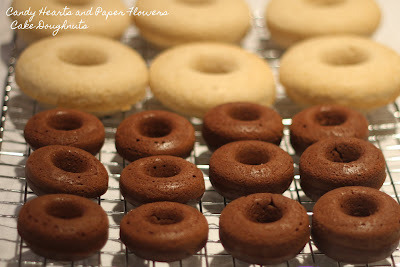 8 minutes for mini doughnuts. Mix ingredients together until there are no lumps are left. While I was making doughnuts this morning, I couldn't help but remember this commercial for Dunkin Donuts from when I was little. These look perfect! And since Dunkin doughnuts isn't what they used to be I can't wait to whip up a batch of yours. The only donuts available around here are from the grocery store... no dunkin donuts, no krispy kreme... nothing. And the grocery store donuts are subpar. Living all over has spoiled me a bit, which is why I bought the pans.